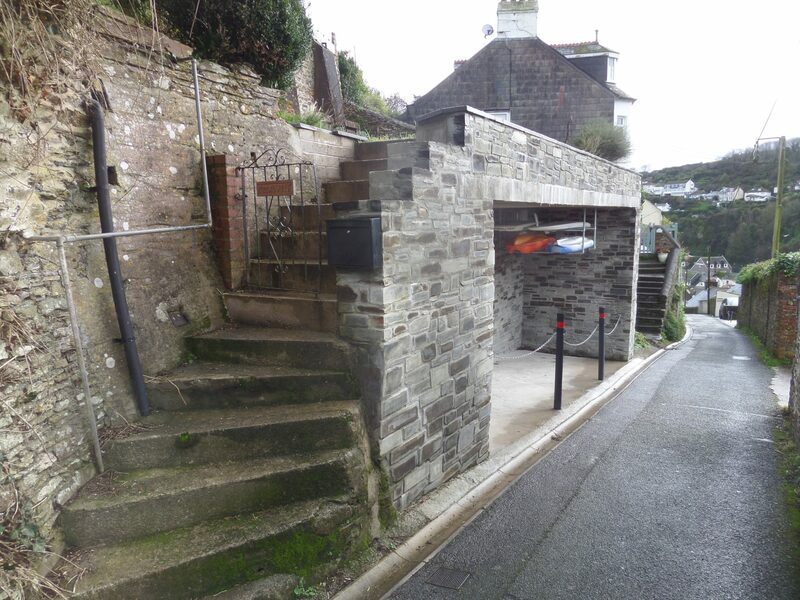 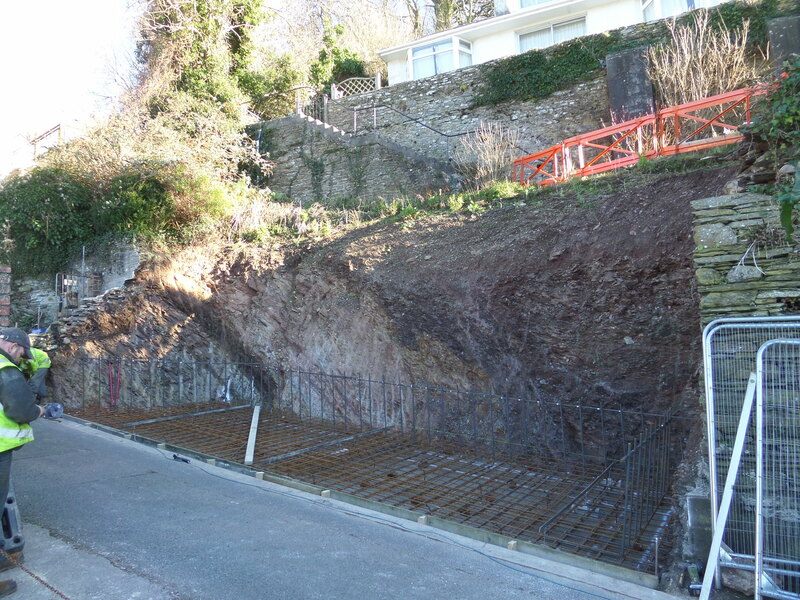 With narrow streets and limited parking, the new owner of this property in Looe wanted to create a parking space within the front wall of their elevated property. 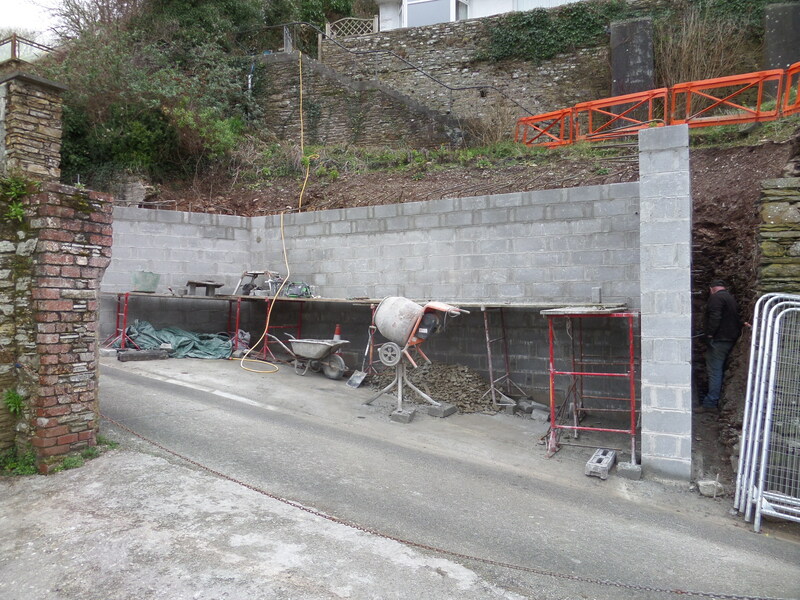 The existing wall was significantly distorted and showing signs of movement and possible failure. 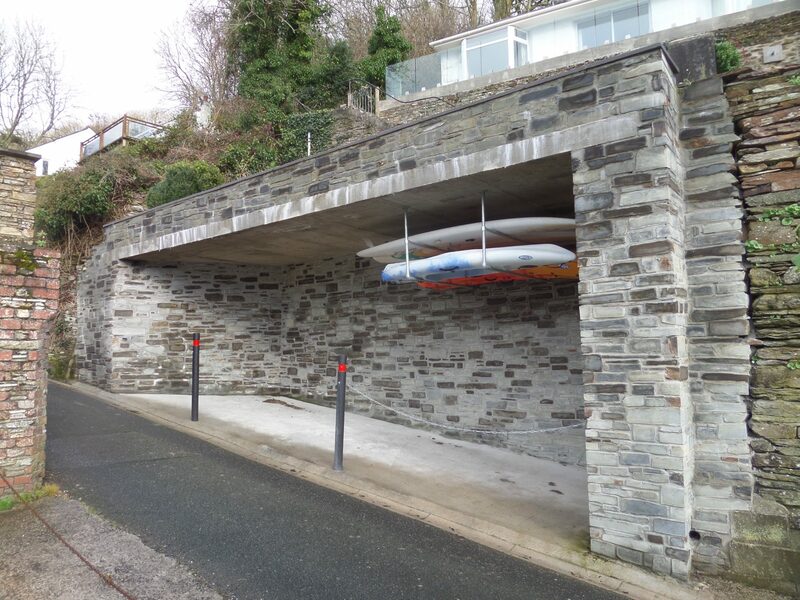 Following ground investigations in the garden area above, a reinforced concrete block retaining structure with a reinforced concrete roof and base was designed by us and approved by the Highways Authority. 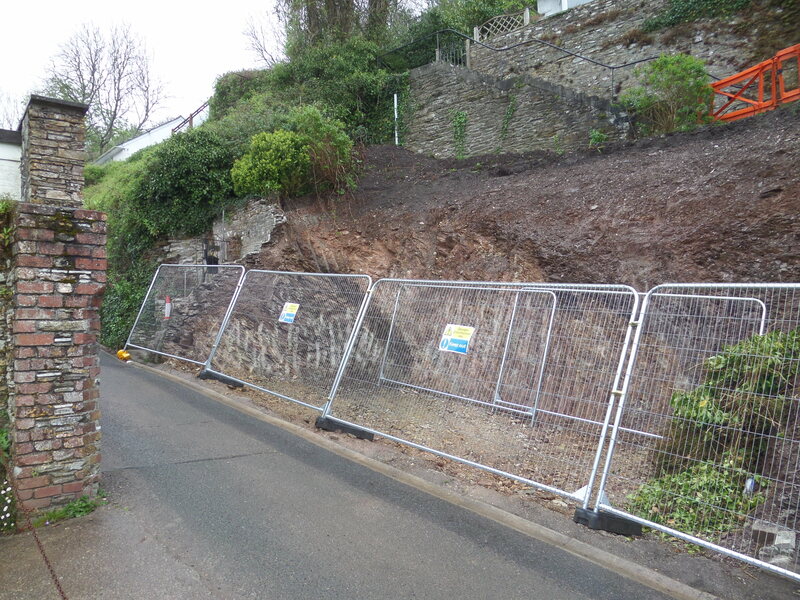 The original wall was removed and ground excavated to construct the new retaining structure. 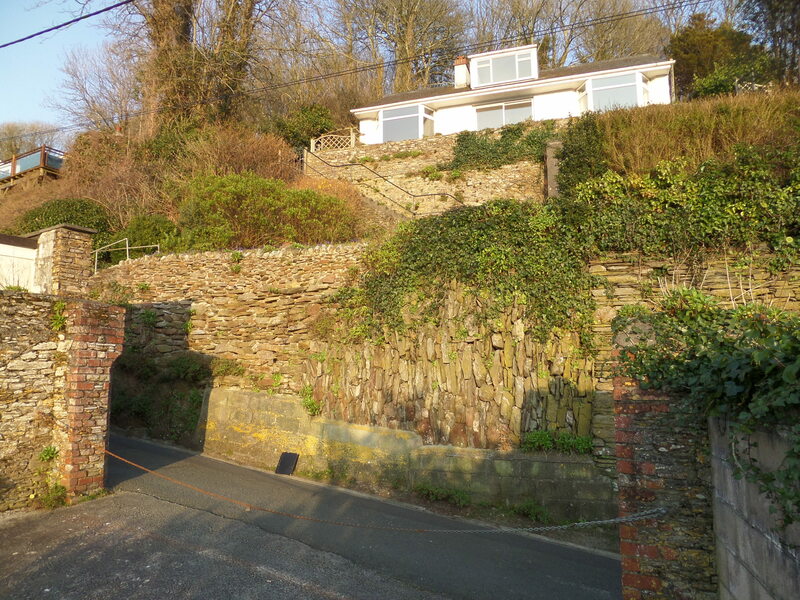 Once completed, the ground was backfilled and garden above reinstated along with new stepped access from the road up to the house. 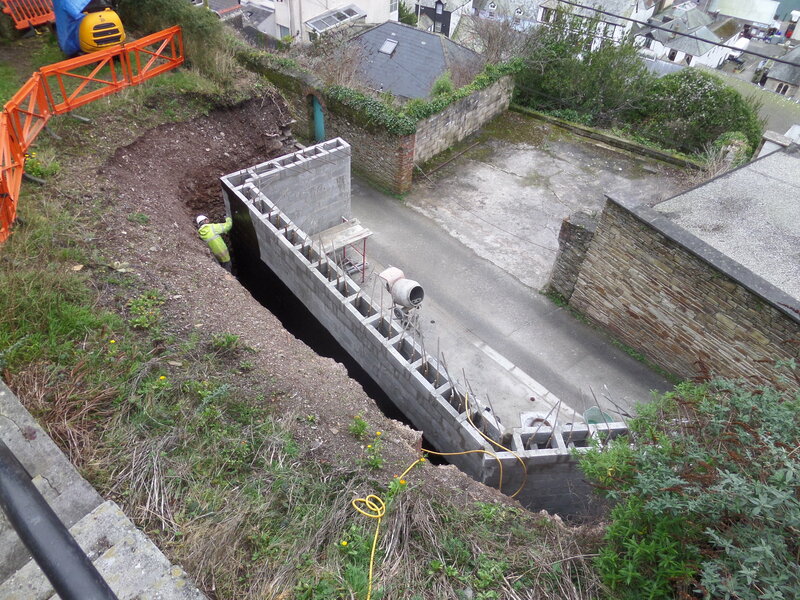 On completion the project benefits were removal of the old potentially unstable wall, a new safe structure incorporating off street parking and added value to the property.